Mosley, like many New Yorkers, has tried to make sense of the events of 9/11--and his own reaction to them. He remembered his father's stories about World War II and how he didn't think of himself as an American until German soldiers shot at him. How did he feel--and how did African Americans feel--about the unfolding debate of what brought America to this tragic juncture. Was the displacement his father felt, a half century ago, still a part of this new generations' experience? In What Next, Mosley addresses these questions and others, inviting the reader into a dialogue that is brilliantly argued, and poetically concise. 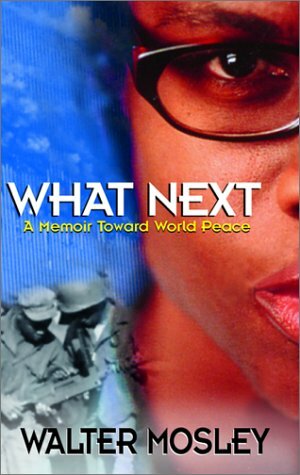 What Next offers food for thought and is a call to action for African Americans and freedom loving people everywhere. This impassioned essay urges black Americans to take the lead in shaping America's response to the September 11 attacks. Mosley, author of the Easy Rawlins mystery series, puts forth a radical critique of U.S. foreign policy, recalling U.S. interventions in Indochina, Central America and the Middle East to assert that America often acts as a "pillager-nation" concerned more with corporate profits and cheap oil than with democracy and human rights; Arab antipathy towards the U.S. is thus more a response to U.S. economic imperialism than to religious or cultural antagonisms. Drawing on memories of his father's struggle against racism, he argues that blacks' experience of racial injustice in the United States obligates them to sympathize with oppressed peoples elsewhere and to understand (although Mosley does not condone) the murderous rage directed at America by many in the Muslim world. He exhorts blacks to take the lead in resisting the current militaristic response to terrorism and to demand that America harmonize its foreign policy with its humanitarian ideals and with the interests of the downtrodden "from Africa to Afghanistan." Interweaving the personal and the polemical, Mosley aims to shock readers out of their moral complacency; "It is up to me," he writes, "to make sure that my dark-skinned brothers and sisters around the world...are not enslaved, vilified, and raped by my desire to eat cornflakes or take a drive." Although his exclusive focus on economic motives somewhat oversimplifies U.S. foreign policy, he raises a compelling and eloquent challenge to America's role in the world.